Allsportspk presents an end-of-2017 series where notable sporting individuals and teams that performed impressively in the current year are identified and highlighted. In this article as the calendar year draws to a close, the Allsportspk football panel looks back over the past 12 months at the four major top leagues across Europe and picks the best club from each leagues. And at the end, Allsportspk panel will then be giving its opinion on which of the club is considered as the best of the four. Read on to see who Allsportspk pick! The Allsportspk panel has only considered the 2016 – 17 season and not the current season 2017 -18 as it is still in progress. 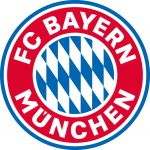 The 2016/2017 season heralded the start of the Carlo Ancelotti era at Bayern, as the veteran Italian coach took over from Pep Guardiola at Säbener Strasse. The reigning Bundesliga champions started at a rip roaring pace in the league before cruising to a record fifth consecutive league title. The 15 point gap between them and 2nd placed RB Leipzig was a fair reflection of the total dominance of the Bavarian giants. Bayern also had respectable showings in both the UEFA Champions League and the DFB Cup. However, missed chances, injuries and bad luck didn’t allow them to put extra gloss on an already successful season. Robert Lewandowski had another spectacular campaign and scored 40 goals in total. Joshua Kimmich also established himself in the side and it looks like he has a bright future in the game. Juventus underwent a major revamp before the start of the season. Gonzalo Higuain was signed while Paul Pogba was shifted out in what was a significant squad overhaul. By the end of the season, the overhaul had seemed to have done the trick. 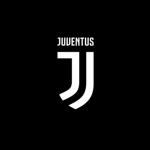 Juventus won their 12th Coppa Italia title in May, becoming the first team to win three consecutive championships, before following it up with their sixth consecutive Serie A title, establishing an all-time record of successive triumphs in the competition. The record breaking season could well have become the greatest in the club’s history if Juventus had overcome Real Madrid in the UEFA Champions League final. However, Madrid proved too good on the night and Juventus missed out on the Treble. The Italian club can still hold their heads high, though, and with talents like Dybala and Higuain in their squad, European success may not be too far off. 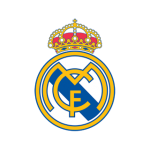 This year could hardly have gone any better for Real Madrid, who won their first league and European Cup double since 1958 and became the first club to defend their Champions League crown, bagging the UEFA Super Cup and Club World Cup honors too. Managed by French football legend, Zinedine Zidane, Los Blancos were simply sensational this year. Playing beautiful football and getting results at the same time is what every football manager wants. Real’s immensely talented, deep squad did exactly that and as a result overcame all the objects they faced. There can be no question that Cristiano Ronaldo was Real’s main man. He plundered a scarcely believable 10 goals in the Champions League from the quarter-final stages onwards alone, putting Bayern, Atletico and Juventus to the sword. He was the star act for Real and, supported by his wonderfully skilled team mates, added more silverware to Real’s trophy cabinet. Antonio Conte may not have dominated the headlines like Jose Mourinho or Pep Guardiola, but there was only one winner in the battle of the Premier League super managers. The Italian pulled Chelsea through a difficult start to the season and they never looked back. In the end, the London club galloped to yet another Premier League title. The switch to a 3-4-3 formation was so successful it inspired the rest of the Premier League do to the same, and Conte also brought the best out of individual players. Eden Hazard and Diego Costa were reinvigorated, while N’Golo Kante was every bit as good as he was at Leicester. The season ended on a slightly sour note though, as a defeat in the FA Cup final prevented a double for the Italian manager’s side. Zinedine Zidane’s side added another memorable chapter to Real’s glorious story. They created history and did it in style. 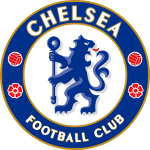 They have, unquestionably, had the most successful season in European football and fully deserve to be called the best in Europe.